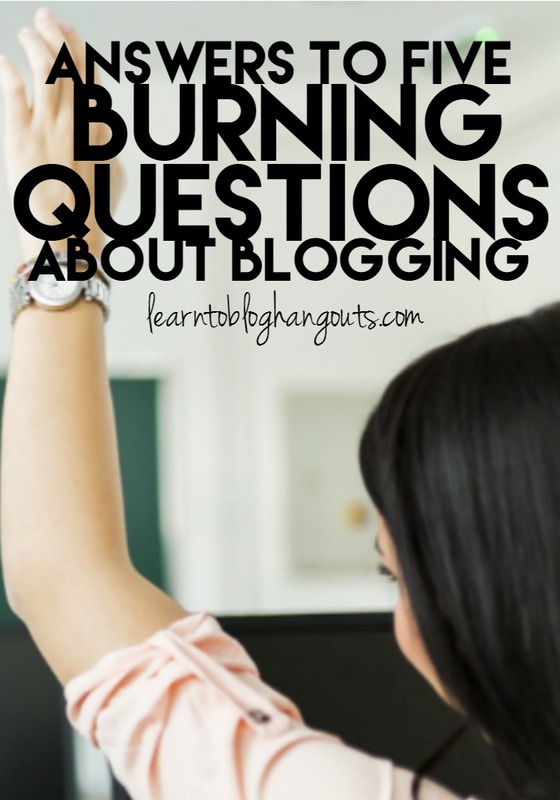 No matter how many blogging videos you watch or posts that you read, sometimes there are burning questions that never made the list. 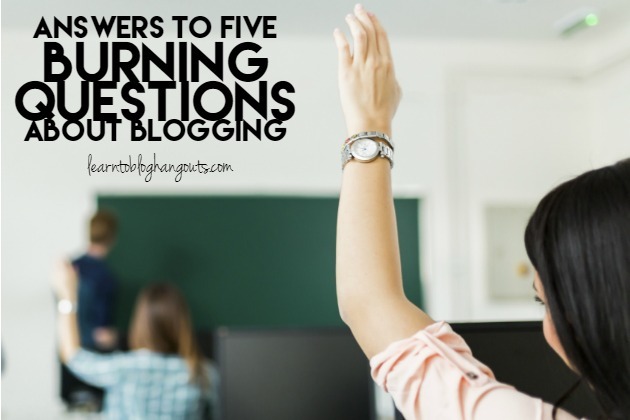 Here are the answers to more than five of the most asked questions in the #LearntoBlog community. As mom bloggers, so many of us are self-taught. We didn’t go to school to learn things like social media promotion, or search engine optimization. So naturally, we have a lot of questions! How do you find a blogging mentor? Don’t start at the highest level of traffic. Reach out to someone who is bigger than you, but not at the top. Just start reaching out to people in groups where you are already networking. Build a relationship. Consider reaching out to others in your tribe, Facebook groups, etc. What will a blog mentor expect from you? If you are looking for a mentor, be willing to put in the work and make it a priority. Complete your assignments and report back to your mentor. Keep track of what you’re doing, what’s working, and what’s not working. It has to be worth it for the mentor, too. 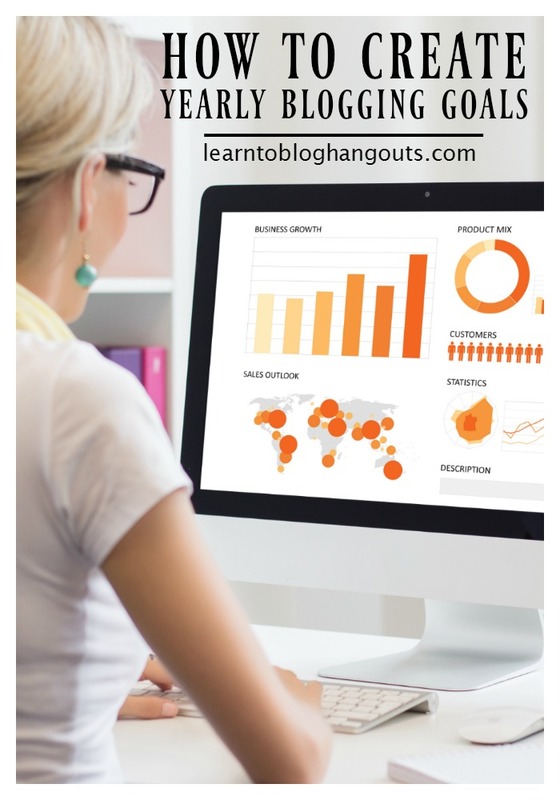 Offer guest posts and to share their content, too on social media. What is True Twit (and should I be using it)? Do you need Twitter account verification for followers? This is a service that many bloggers use to cut down on spam, but that many other bloggers loathe for its cumbersomeness. It’s like the Akismet plugin is for WordPress. Kelli does not recommend it. She said it’s more useful to use for kids’ or personal Twitter accounts. How do you legally include other blogger’s images in your blog posts? if you have a linky party, use that. This is an especially good idea because you want your link party participants to see traffic coming from your site to keep them coming back. create round-up images using multiple pictures so that you’ve essentially created a new image. Doing that will prevent people from pinning the owner’s image your blog getting the credit. How do I increase blog subscribers when readers simply close the pop-up? Kelli and Crystal explain how to create more eye-grabbing pop-ups and incentivize your description. As Crystal says “let them know exactly what they’re getting.” Make sure to tell them they’re getting your posts in their inbox for FREE. Offer a freebie as an incentive for opting in to your email list. Free printables, eBooks, and resource lists are great ways to incentivize your list. An easy way to create a free eBook for your opti-in incentive is to create a PDF of your top five posts. Let them know how often they’ll be getting your newsletter i.e. daily, weekly, or monthly. Could having a pop-up hurt your blog? Some people do get annoyed with pop-ups, but the reality is, the average reader doesn’t care. Even so, you should set your pop-up box so that it no longer shows to people who have already opted in. There are thousands upon thousands of blogs out there to read. How are readers going to remember yours over all the noise? Getting an email reminder into their inbox is gold. Using a pop-up, Kelli went from fewer than 200 newsletter subscribers, to over 5,000 in less than six months.